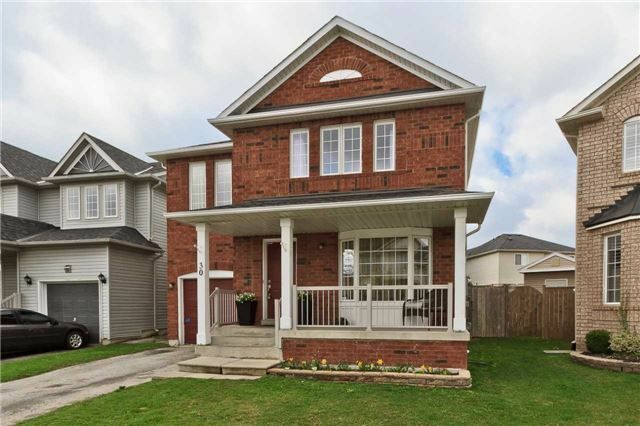 Sun Filled Gorgeous 4Br Home Located On Quiet Crescent In Milton! Over 2,233 Square Feet On Gorgeous Slightly Pie Shaped Lot! Hardwood Floors On Main Level! Huge Dining And Living Combined Together-Perfect For Entertaining! Modern Kitchen Combined W/Breakfast Overlooking Backyard! Family Rm W/Gas Fireplace! Main Fl Laundry! Good Size Principle Room! Master With W/I Closet And Separate Shower! 401 Access! Close To 3 Parks And Schools! Roof-2015. No Sidewalk.